Apply to have a stall at this year’s Student Christmas Market which will be held on Wednesday 6th December, 12.00-17.00 in PJ Hall, Main Arts Building. 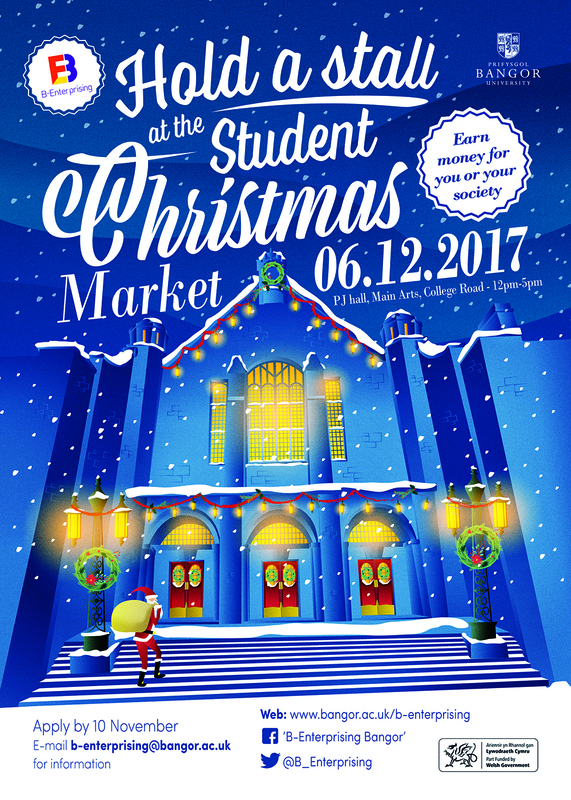 The Student Christmas Market is a great opportunity for you to earn money and to gain and develop skills. Whether you’re an individual with a spark for creating jewellery, a Students’ Union Society looking to raise funds, or if you’re thinking of running your own business and wish to test the market – this event is for you! Earn 15XP available towards your Employability Account. ‘Like’ us on Facebook for further information about the Market.